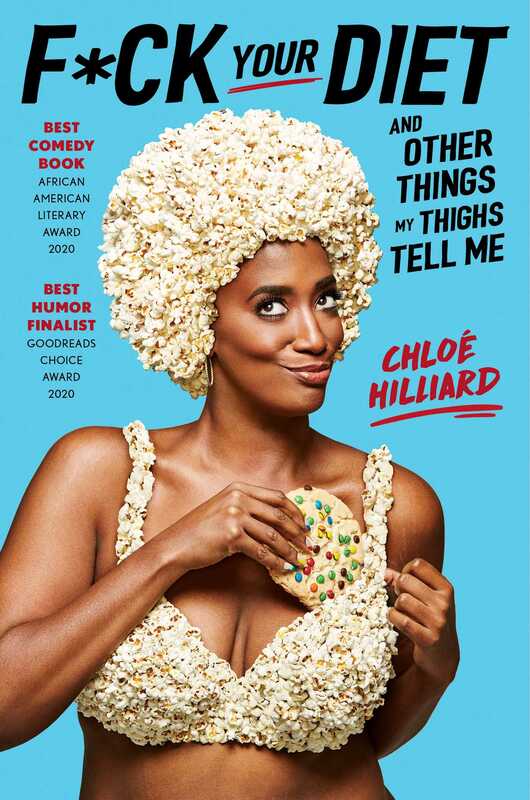 Fans of Issa Rae and Phoebe Robinson will love this collection of laugh-out-loud funny and insightful essays that explore race, feminism, pop culture, and how society reinforces the message that we are nothing without the perfect body. By the time Chloé Hilliard was 12, she wore a size 12—both shoe and dress—and stood over six feet tall. Fitting in was never an option. That didn’t stop her from trying. Cursed with a “slow metabolism,” “baby weight,” and “big bones,”—the fat trilogy—Chloe turned to fad diets, starvation, pills, and workouts, all of which failed. Realizing that everything—from government policies to corporate capitalism—directly impacts our relationship with food and our waistlines, Chloé changed her outlook on herself and hopes others will do the same for themselves. The perfect mix of cultural commentary, conspiracies, and confessions, F*ck Your Diet pokes fun at the all too familiar, misguided quest for better health, permanent weight loss, and a sense of self-worth.